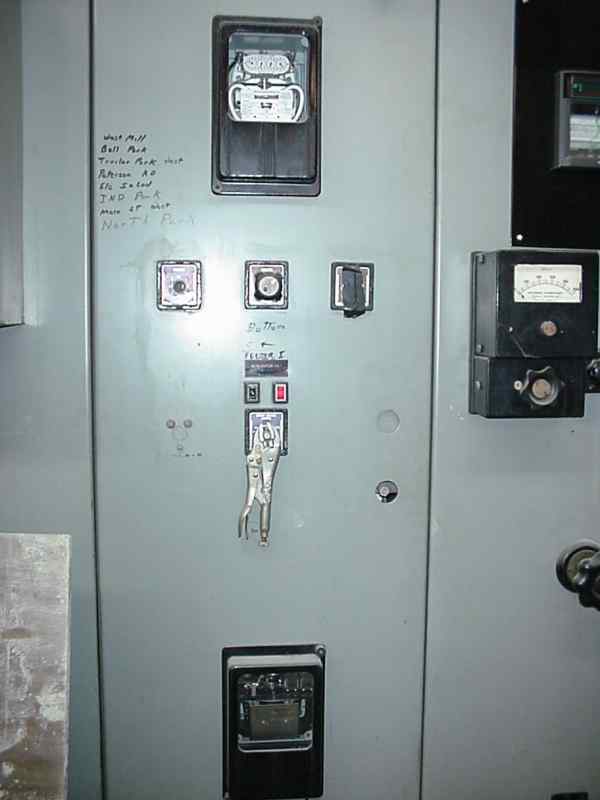 This is a circuit breaker control switch on a 2400v municipal utility feeder circuit breaker that feeds part of a city on an overhead power line. This switch has been like this for years. I'm surprised that nobody has swiped the vise-grips yet! HAHAHAHA, Oh man...ugh..HA..I dont know what I was gona say now! Well its no wonder we cant get a tax-cut ! it's cause they can't get a grip ! I got a pair of those specifically weighted for high risk tasks! SO, all of those who don't know the custom visegrip website get a clue!?!? Well, I heard of a guy who was stopped on the highway. He didn't have a steering wheel in his car. He replaced it that way.